Traditional systems are susceptible to noise, atmospheric turbulence and other factors, resulting in large system channel transmission error and outage. Therefore, a new method of analyzing transmission performance of multi-input multi-output free space optical communication system channel with an improved space diversity technology is proposed in this paper in the context of different turbulence environments. In this method, with the Gamma–Gamma distribution model, the atmospheric turbulence process is analyzed and the optical field distribution is transformed into a disturbing function based on multi-scale impact; the differential phase-shift-keyed coherent intensity modulation method is adopted to control the turbulence so that the transmitter and receiver can obtain channel state information; a multi-input multi-output free space optical communication (MIMO-FSO) system is formed by constructing a system model and a multi-input multi-output channel model, and the MIMO-FSO system channel is modulated with the improved maximal ratio combining technology to analyze the transmission performance of MIMO-FSO system channel. 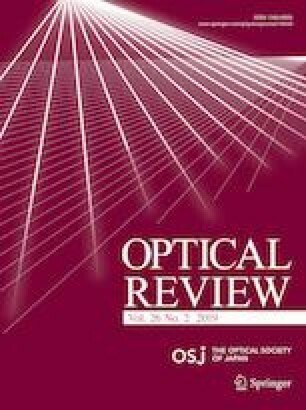 Experimental results show that the improved method can reduce bit error rate and outage probability of the free space optical system, which has some advantages over traditional systems. This work was supported by National Natural Science Foundation of China under Grant no. 60977052.